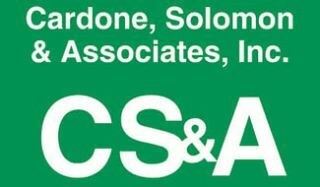 Ashly Audio has appointed veteran pro audio manufacturers' rep firm Cardone, Solomon & Associates (CS&A) to represent its entire line of products throughout New York City and its surrounding suburbs, as well as throughout the whole of New England. CS&A's expertise spans a wide range of AVL systems integration and IT infrastructure applications, including corporate, education, performing arts, athletic, transportation, hospitality, house of worship, medical, judicial, and government at the local, municipal, state, federal, and international levels. "We have long recognized Ashly as a manufacturer of very high-quality and high-value amplifiers and processors, with world-class tech support and customer service to back it up," said CS&A co-owner Mike Solomon. "For those among our clients who haven't experienced the Ashly distinction, we're excited to get them acquainted. Importantly, John Cardone and I view our new relationship with Ashly as a strategic fit with our existing portfolio of manufacturers." Scott Leslie, vice president at Ashly, said, "John Cardone and Mike Solomon have been working together in the pro audio business for over thirty-five years. They launched CS&A in 1997 and have built it into one of the best-known and respected pro audio rep firms anywhere. We're excited to partner with them and look forward to drawing on their deep experience and perspective to build our business in New York and New England."